Nathan Baquiran is a 7-year-old boy who loves Minecraft, playing video games, reading and playing with his cousins and friends. He enjoys going to school and learning new things. He has a big stuffed animal collection and loves to watch movies such as Star Wars. His new interest is learning all about Marvel characters such as Iron Man and Thor. He also loves spending time with his big sister Hailey and his parents Mark & Ruth. He has an infectious smile and a sweet spirit. 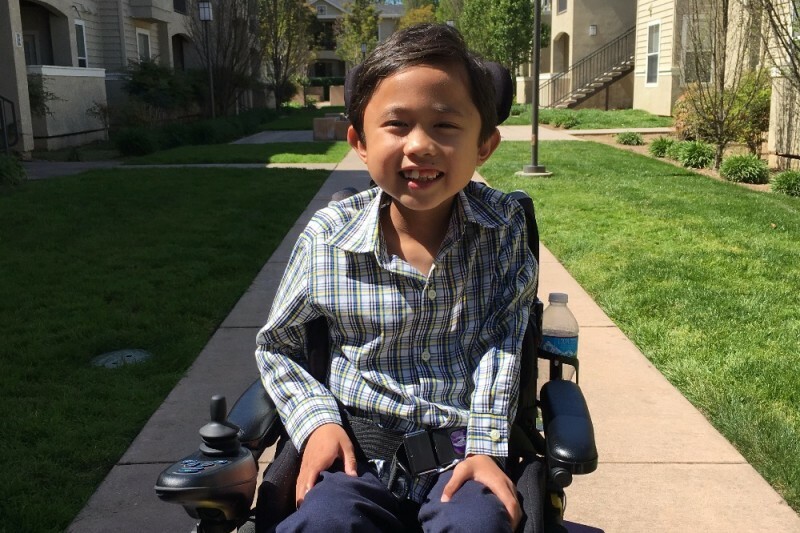 Nathan was diagnosed with Duchenne Muscular Dystrophy (DMD) in August of 2013, at the age of 5. Those affected by Duchenne have a progressive loss of strength, which is caused by a mutation in the gene that encodes for the protein dystrophin. Because dystrophin is absent, the muscle cells are easily damaged. Every single muscle in the body is affected. As the muscles continue to weaken, serious medical problems in the heart and lungs can and will occur. Young men with Duchenne typically live only into their late twenties. Sadly, at this time, there is no cure or treatment for this devastating disease. During the summer of 2015, Nathan stopped walking completely and now uses a power wheelchair full time. His muscles have weakened to the point where he requires assistance with activities of daily living such as dressing, grooming, toileting and feeding. Things like being able to change your clothes, turn in bed or hold a cup. Everyday activities we often take for granted. 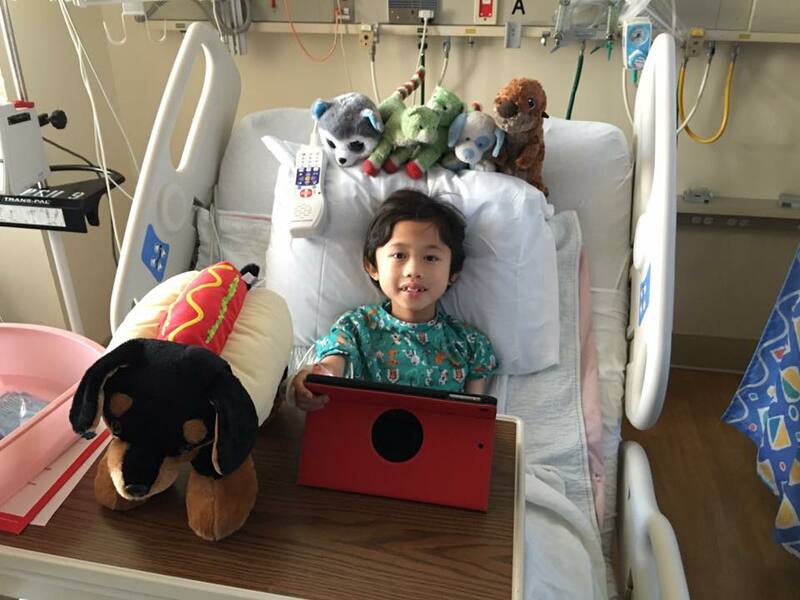 Despite the struggles, Nathan’s family continues to fight courageously. They also participate in multiple fundraisers to help spread awareness and fund research for a cure. Their goal is to find a cure for their son Nathan and ALL boys and young men with DMD. • Co-payments for doctor's appointments to see different specialists and also for any medical procedures such as an MRI or X-ray. Unfortunately, in the past 2 years Nathan’s disease has progressed more rapidly than expected and the family has been unprepared to pay for the increased medical costs. The family has depleted their savings in order to pay for these much-needed expenses. (Both Mark and Ruth have jobs but Ruth has reduced her work hours in order to care for Nathan. Reduced hours means reduced income.) By starting this fund, we hope to help minimize the financial stress and burden on the family as they focus on the daily needs of Nathan. 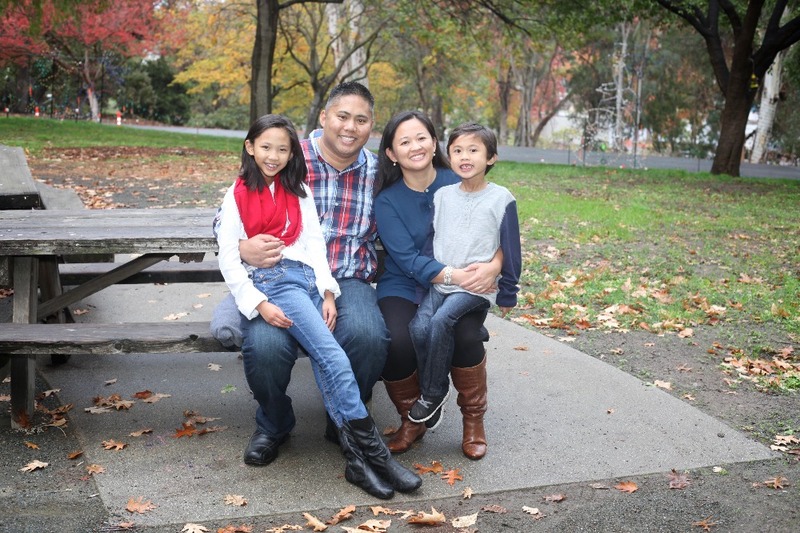 First and foremost, the Baquiran family asks for your prayers for Nathan, that he be given a chance to fight DMD and that a cure will be found during his lifetime. Pray for the entire family that they may have comfort, hope, and courage through the ups and downs. Pray for physical and emotional strength to care for Nathan and help him in his fight against DMD. Second, donate if you can. 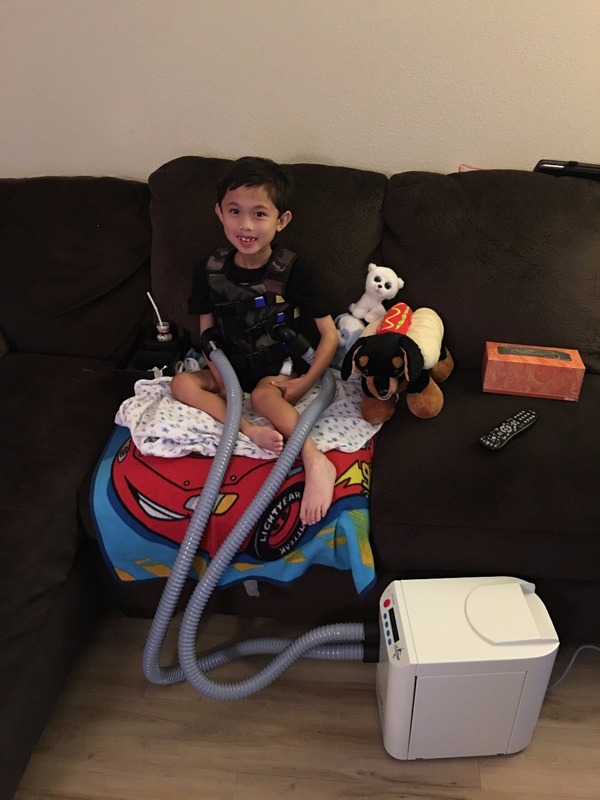 The medical expenses continue to grow exponentially as more medical equipment is needed to meet Nathan’s physical needs. 100% of your financial gift goes toward paying down Nathan’s medical bills. Please donate whatever is in your comfort level. Lastly, encourage others in Social Media or in your community to give and to share Nathan’s story. Whether you give or not, we are thankful for you taking the time to read about Nathan and learning about Duchenne Muscular Dystrophy. At the end of July, Nathan had a surgical procedure to have a G-tube inserted into his abdomen. He had been struggling to eat solid foods due to weakening throat muscles caused by DMD. Despite our best efforts, Nathan had lost weight and was having difficulty meeting his body’s nutritional needs. After a long discussion with his medical team, we decided to proceed with the G-tube placement. Nathan was in the hospital for a week as he learned to adjust to tube feedings and we learned how to care for the g-tube. Things are finally starting to settle down for us. 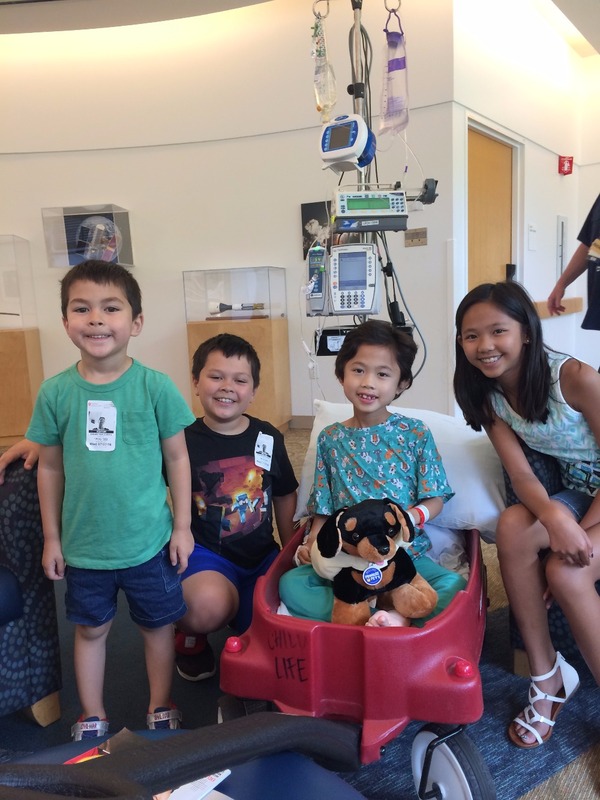 Nathan missed several days of school because of unexpected overnight stays at the hospital. Thankfully, those issues were easily resolved. Nathan is getting adjusted to school and his new classmates. He has a great teacher who is active in Nathan’s learning and doing what he can to help Nathan succeed. He also has a 1:1 Aide at school to help him with his physical needs. We are so thankful and humbled by the financial support we received from the Go Fund Me page. It has made it possible for us to pay for Nathan's medical bills and pay for necessary medical equipment and supplies. •	Cough assist machine, airway clearance therapy vest, and suction machine. All these items are needed to assist Nathan in keeping his lungs clear and prevent him from developing any lung infections. 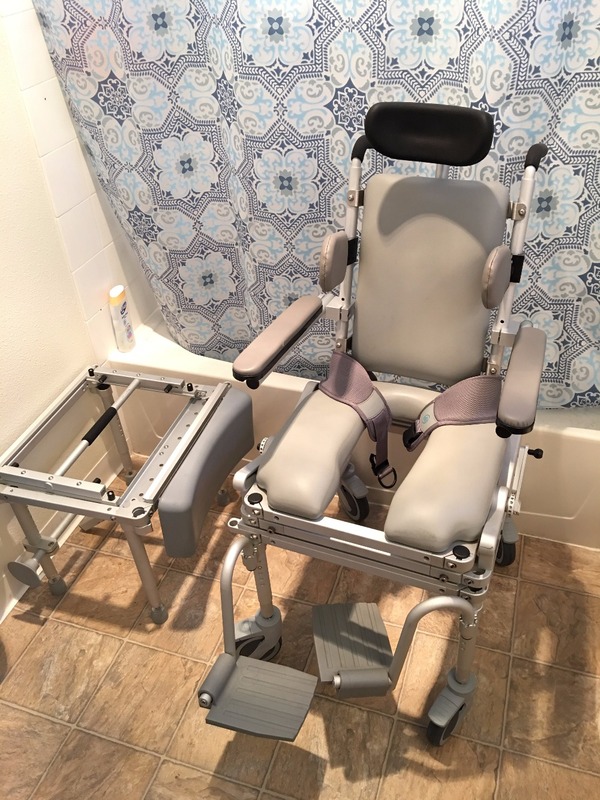 Our church also generously donated money needed to cover Nathan’s bathtub transfer chair. We are also grateful to Mark's extended family who is hosting a Dinner/Silent Auction Fundraiser in honor of Nathan. The event will include a silent auction on gift baskets and the chance to win gift cards to restaurants and event tickets. An Elvis impersonator will also be in attendance. For those in the Bay Area who are interested in attending, it will be held on Saturday, September 24th from 6PM – 9PM. For more information and to purchase tickets, please contact Lorevi Lee at moomieangel1@gmail.com. Thank you again for your financial support. Your gift allows us to care for Nathan and provide for his needs. Thankful for these moments of joy and that these kids have each other to brighten up their day. These are special moments that we'll hold onto forever.